1. 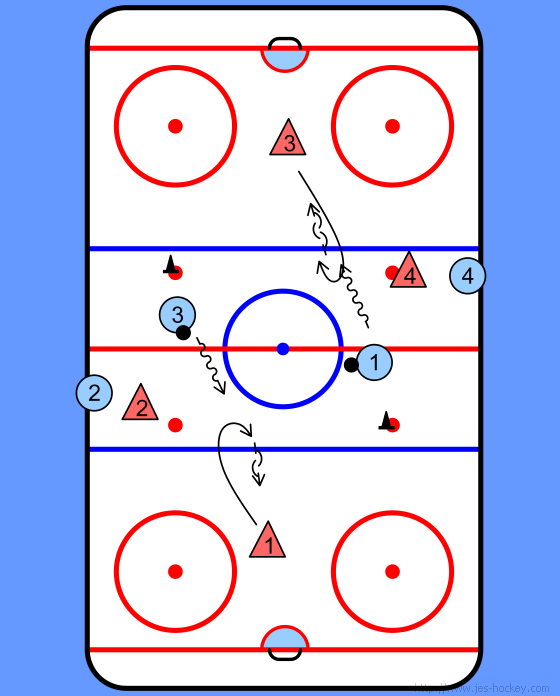 D starts skating backwards and receives a pass from the F.
2. 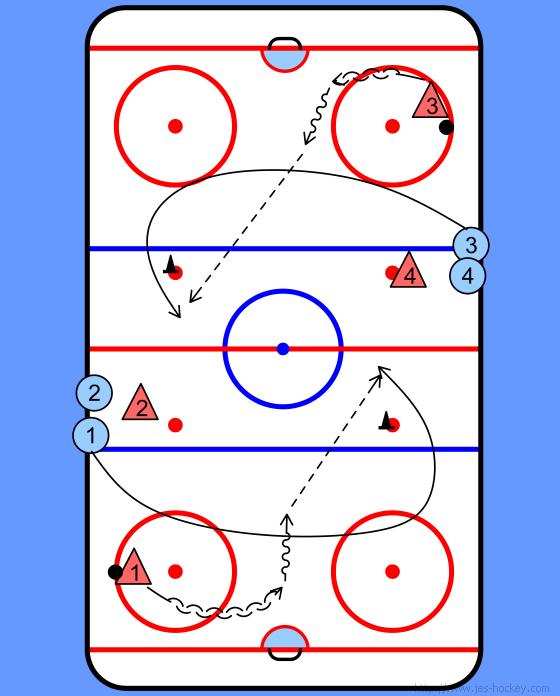 F regroups at the top of the circles and goes around the pylon. 3. 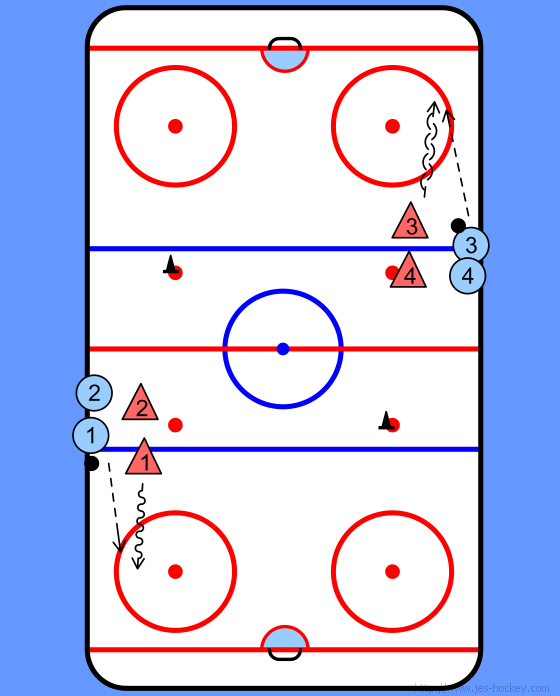 D receives the pass, drags it to the middle, forward pivots up ice and makes a stretch pass after the F has passed the pylon. 4. D gaps up to F from the other end for 1 on 1. 5. F goes in on 1 on 1. Have both nets at one end and have both sets start at one end. This will add some traffic and end up as a 1 on 0 at the far end.